Earn up to 5,950 reward points. State of the art saxophone mouthpiece! In the Jody Jazz DV Tenor Saxophone Mouthpiece, nature, science and imagination are combined to create a revolutionary mouthpiece. The DV produces a bigger, fatter sound that is achieved effortlessly and better intonation and response. The main goal with this mouthpiece was to create the most efficient mouthpiece possible. That means that there are a huge amount of harmonics present in the sound and therefore the projection of the mouthpiece is huge. Another goal was to eliminate the annoying shrillness that is associated with loud bright mouthpieces. 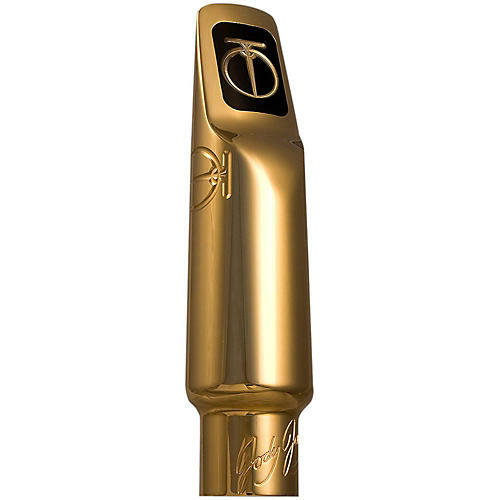 JodyJazz is using a new proprietary CNC facing technology that puts the perfect facing curve on the mouthpiece, which results in absolutely no dead spots in the vibration of the reed. In other words all notes in all ranges respond equally. It has a husky barrel-chested tone while being able to sing and soar over the top of any band. Sub toning and low notes are extremely easy and the altissimo is out of this world. Intonation is spot on. Be prepared to have possibly the most fun you ever have had on the saxophone. Order today and open up all registers.